Death with Dignity is a beautiful song by Sufjan Stevens about the death of his mother (a subject that clearly resonates with Kanye West). The song is heavy with grief backed with sparse, shimmering ukulele. And idiots will still tell you it’s impossible to be sad when playing a ukulele. I think he’s using open C-tuning for this which is gCEG (i.e. tune your A-string down so it’s the same pitch as the g-string). Then capo at the fourth fret. The picking uses one finger per string in an AMIP pattern (going down the strings). This part is really quiet on the record so I’m making it up about half the time. Take that as a free pass to mess around with this part and play it how you feel it. I’m guessing it’s played on a classical guitar but it works perfectly well on baritone. 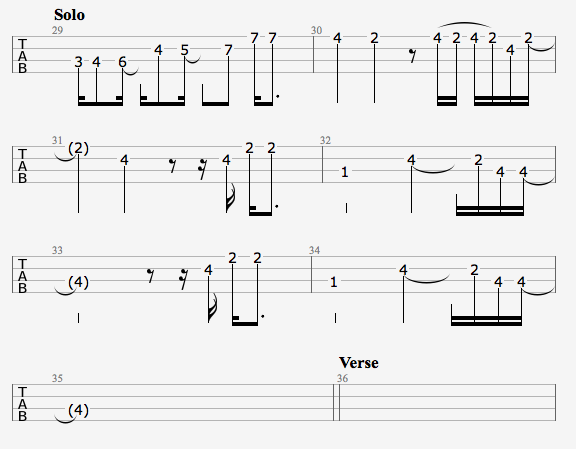 Here’s a ukulele version of the piano solo from the song. It’s played in standard tuning without a capo.